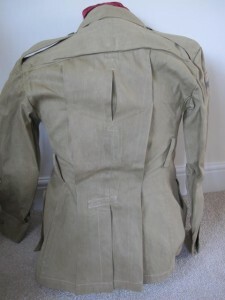 Excellent condition lightweight Four Pocket combat tunic to the 17th Indian Division. 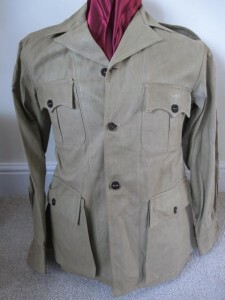 Comes complete with its original Bakelite buttons and 17th Indian matching formation signs to each arm.Ai?? 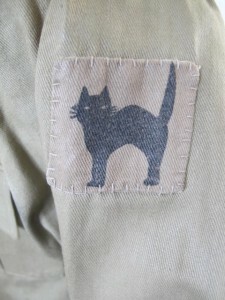 Accompanying this veteran tunic is a copy of The Black Cat Daily News, Edition No 1, for Wednesday April 13th 1944. Giving details of how the war is going in various theaters of war. 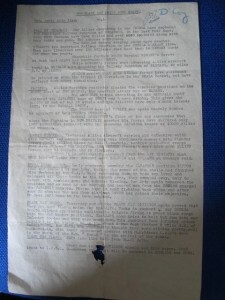 Including Black Cat Front and stating that men of the Black Cat Division are more than a match for the Japs and stating that they were firing at point blank range into Jap bunker positions and when they tried to bolt they ran into their men and were mowed down. Stating the Japs flee like rats from the black cats. Note: The 17th Indian Division fought against the Japanese for a longer period than any other British or Indian formation. They saw much hard fighting in the Chin Hills and in the Tiddim andAi?? Imphal areas. It crossed the Irrawaddy in Feb 1945 and after much bitter fighting captured Meiktila in March. A victory which led to the destruction of the Japanese forces in Burma.